It's 2263, and you're working with Spock on the Enterprise. Better get your science badge on stat! 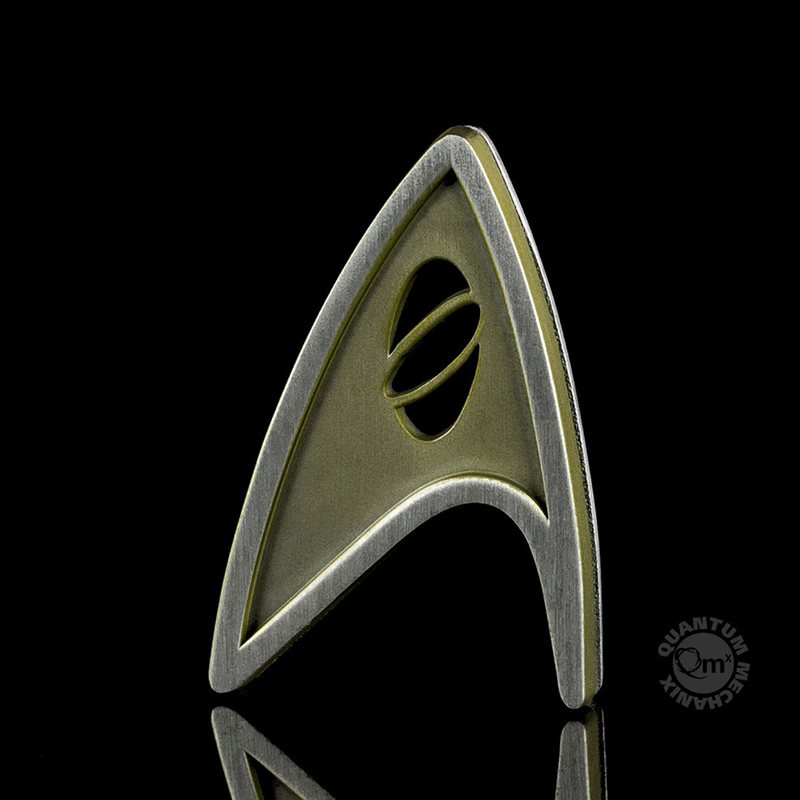 From the 2016 movie Star Trek Beyond, we bring you this screen-accurate replica of the insignia badge reserved for scientists and medical professionals. Cast in a sturdy zinc alloy, it's burnished with bronze hues. Our Starfleet Division badges are exact replicas of the uniform insignia from Star Trek Beyond, with each design taken directly from the screen-used hero prop. 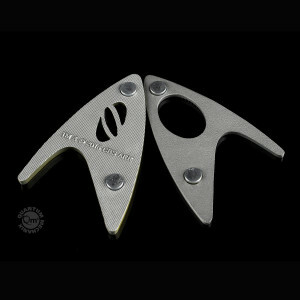 What sets these wearable badges apart from the original is the clasp, which uses strong, short-field magnets that are embedded in each badge itself and in a glossy backplate. No more pinholes in delicate fabric. They can even be worn on leather and suede. This item will ship mid to late February. I've ordered many of the Star Trek badges and always pleased with the product I received........the magnet actually does hold when worn.